When ploughing, looking anywhere but forward will cause the furrow to be crooked. And how often we are tempted to look backward or to the side or even inward. We look back to how life used to be or what we maybe think we’re “missing out” on. We look to the side and compare our lives with those around us. And sometimes we even look too much at our own sins, sitting in condemnation instead of looking to our glorious Saviour. This was the subject of our time at the Josiah Venture’s ladies’ retreat in Slovakia a few weeks ago. As I sit to write this blog post I have just re-read my notes from those four days, those precious four days. One of my favourite things about the retreat was that we heard from seven Josiah Venture women who all shared how God had called them forward through hard things in life and the mission field – living in a new place, not knowing the language, loneliness, infertility, singleness, staying in the country God has called you to, trusting God in our mess. 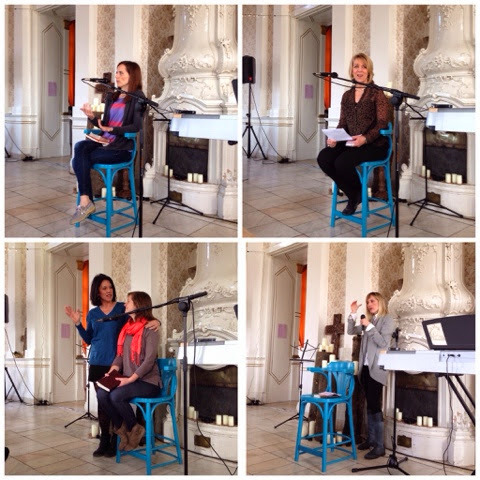 These women are all incredible women of God. And it was a joy to spend time with them. It was also so rich because you’re hearing from women who know the life you live because they live it too – who know what it means to feel so inadequate because your communication has been reduced to baby level again, who know what it means to live far away from loved ones. I feel like this is where we hear the greatest words from Scripture: But God. Language learning is rough, but God has called us to language learning and He can speak through our lives in deeper ways than our words. Some days are hard but God is good and God is trustworthy – He has proven that over and over again. The Gospel demands radical sacrifice, wherever you live. And chasing after anything but Jesus is disappointing. God spoke during those four days – and not just through the up front teaching – in wonderful, tender, deep ways. I feel like I’ll be returning to those pages in my notebook again and again. Another wonderful thing about the four days is that we were all placed in groups of three. Amy Ellenwood, the wonderful lady who led the conference, put us in the groups using the same technique as the last ladies’ retreat. She categorised everyone into three groups based on how long they’d be on the field. And she created groups by picking one lady from each of the three piles. When my group met for the first time we were astonished, and actually checked with Amy to make sure she hadn’t put us together on purpose. The women along with me in that photo are Lucka and Judita – Lucka is the wonderful Czech friend whom I have known as long as I’ve been coming to the Czech Republic. She is also the one who went with me to every office when I moved here to help with all the paperwork and translation. It was my first time meeting Judita but her husband serves in our Edge Sports ministry in Slovenia, so I’d met him. Lucka is from the Czech Republic and serves in Slovenia. Judita is from Croatia and serves in Slovenia. 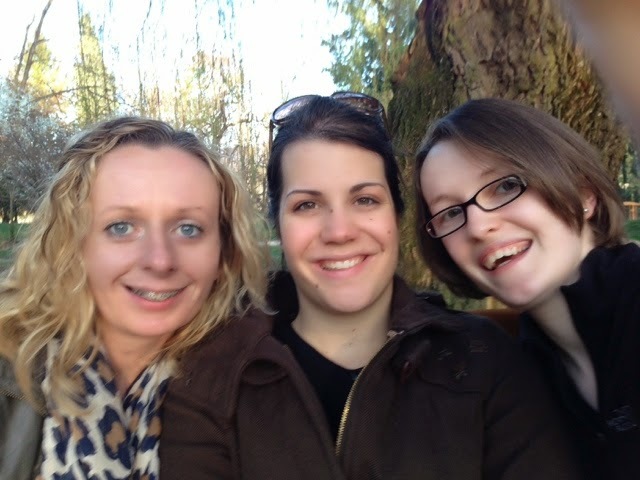 Rachael is from Northern Ireland and serves in the Czech Republic. And all of us serve alongside wonderful Americans as part of a brilliant missions organisation. At times the three of us don’t feel like second culture missionaries, but third culture missionaries. We experience dual culture shock – when I explain a cultural problem or food I'm craving neither the Americans nor the Czechs will know exactly what I'm talking about. I’ll be making banoffee for Bible study this week because no one has had it before. It’s incredible to be a part of a multi-cultural team and it’s a beautiful picture of who our God is. But sometimes it is hard. It was wonderful that God gave us three this time together to encourage each other, to speak with each other and know that not only did these people listen but they also understand. And that was true of so much of the retreat. It was such a joy to meet so many wonderful women who I hadn’t met before, and to spend time with women I already know. There is such sisterhood born in knowing the lives each other live – hours of conversation, laughter, encouragement and joy… not to mention rest. I am so grateful for these beautiful women and the time I spent with them all in Slovakia. But even more, I am so grateful for our beautiful Saviour who has called us and given us many good, good gifts.